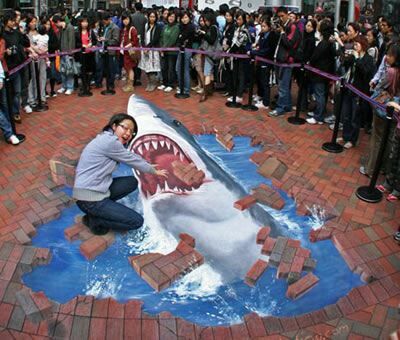 Amazing Sidewalk Art: 32 Photos (Funny Photos / Photo Gallery) : AwfulGames -- Awesome Online Games, Awful Humor and Really Fun Stuff. Despite the Name, No Awful Games! Some very talented artists named Julian Beever and Kurt Wenner have been producing amazing sidewalk art on the pavement of several different countries. They use different techniques to produce an amazing 3-D perspective. Hope you enjoy!